The measurement of static and dynamic features in a matter of seconds guarantees accurate and reproductible measurement results. Implementation directly in production processes is indispensable for ensuring fast measurements and production control. 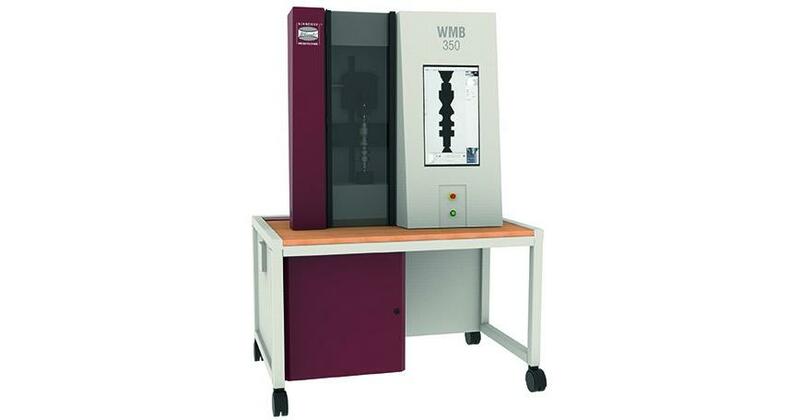 The WMB series was designed and constructed for that specific purpose. Fully automated measurements of rotationally symmetric workpieces can be implemented by any user at the touch of a button thanks to the mathematically integrated rotation axis. In addition to the centre pins for mounting the shafts, a 6-jaw precision chuck with hardened, cut and reversible top jaws is available for clamping workpieces without centre holes. The jaw arrangement can also be used to measure the total length. We would be appy to provide you with information about the extensive range of clamping options.